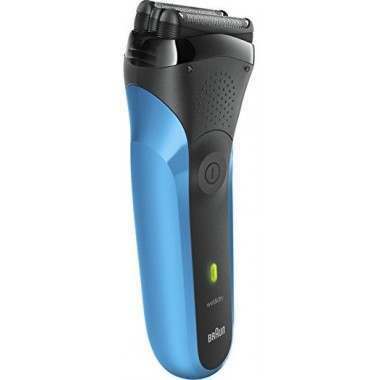 The Braun 310s Series 3 3-Flex electric shaver offers a clean and close shave with its 3 pressure-sensitive shaving elements adapting to every contour on your face. 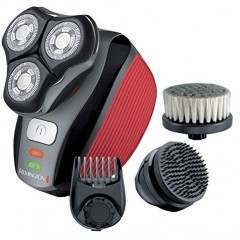 The durable, cordless shaver offers efficiency and convenience with wet or dry use. 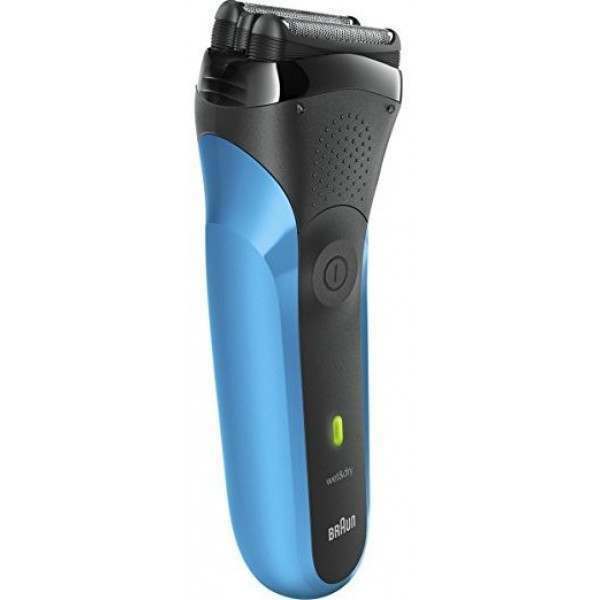 The Braun Series 3 310s Rechargeable Wet & Dry electric shaver in blue, is the ideal foil shaver for starting out, plus is tough on beards and smooth on skin to achieve the results you want without any hassle. 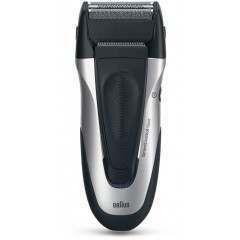 Designed and engineered in Germany, the Braun Series 3 310s shave is built to last. The 310s shaver features twin foils and an integrated middle trimmer, ensuring you get a close shave as good as any high-end shaving performance. These two features work together effectively to cut both long and short hairs with every single stroke, proven even on difficult 3-day beards. The Braun Series 3 shaver boasts 2x SensoFoil, which are specially designed to deliver an efficient close shave and a gentle skin experience. Ideal for those who suffer with sensitive skin. The convenience of the Wet & Dry usability is to ensure you have options to suit you. Dry shave for a quick and effective shave, or shave whilst in the shower for ultimate convenience. 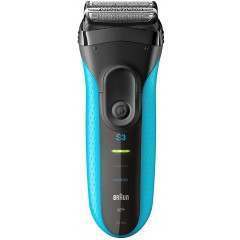 You can use the Braun 310s shaver with water, foam or gel to ensure the shaver glides even better across your skin for a smoother finish. It is IPX7 certified, which means it can be submerged in 5 meter deep water without a problem, which also ensures you can keep it clean after every shave by rinsing under running water. The handy LED display will alert you when your battery level is low and also show you the battery status as you charge. 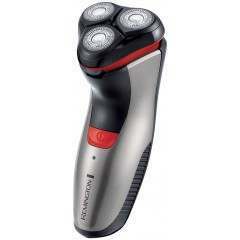 This ensures the shaver is good to go every time you need it. 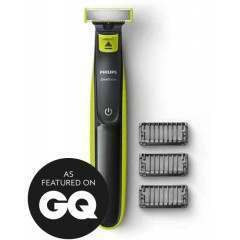 The Series 3 ProSkin shaver is rechargeable with 2x powerful rechargeable Ni-MH batteries. A full charge only takes 1 hour, providing you with 20 minutes of running time. In a rush? 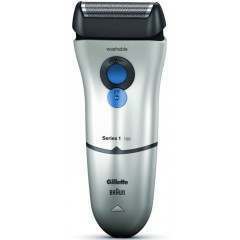 A quick charge takes just 5 minutes and provides enough power for just one shave. Going anywhere? The Smart Plug featured in the box comes with automatic 100-240 voltage adjustment, meaning you can use this worldwide. 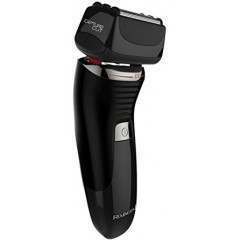 Very happy with device and product, pleased that shavers UK do what it says ! Well done! Excellent product bought as a gift. Compared other websites then found this site cheaper than large retailers and also free delivery. 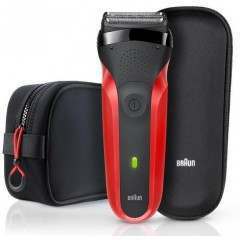 The product itself is brilliant and gives a clean cut both wet and dry. Would definitely recommend this website and also the shaver. Would gladly purchase from this company again.